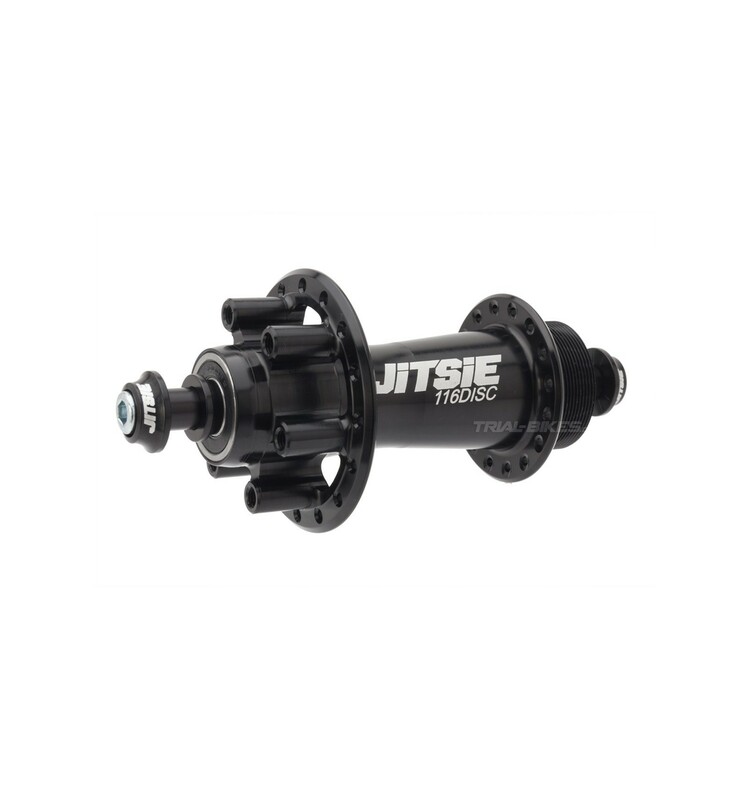 - New Jitsie Race 116Disc ultralight rear disc hub, designed in Belgium and manufactured in Europe, as part of the Jitsie Race range. - Developed and tested for several months by Multi-World Champion Dani Comas, along with world class riders like Ion Areitio and Rick Koekoek. 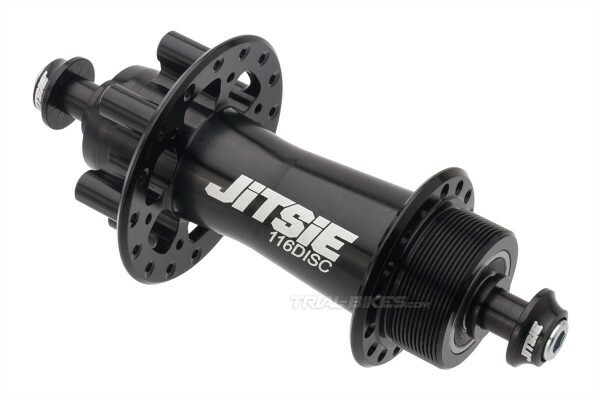 - Currently, the world’s lightest rear disc hub for trials! 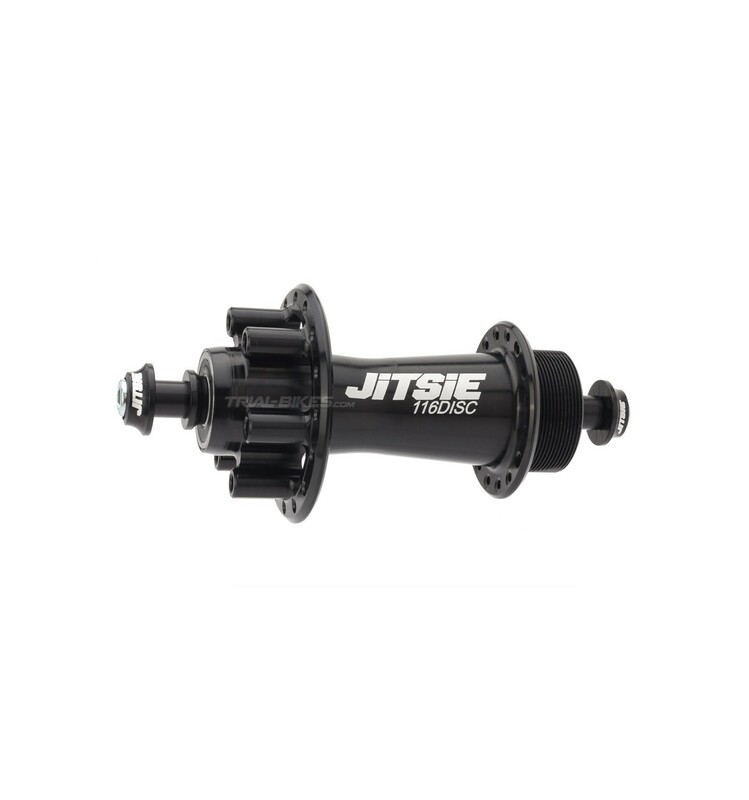 - Features the exclusive Jitsie design, with the unique hub shell profile that gradually tapers towards the non-drive side of the hub to save unnecessary weight. 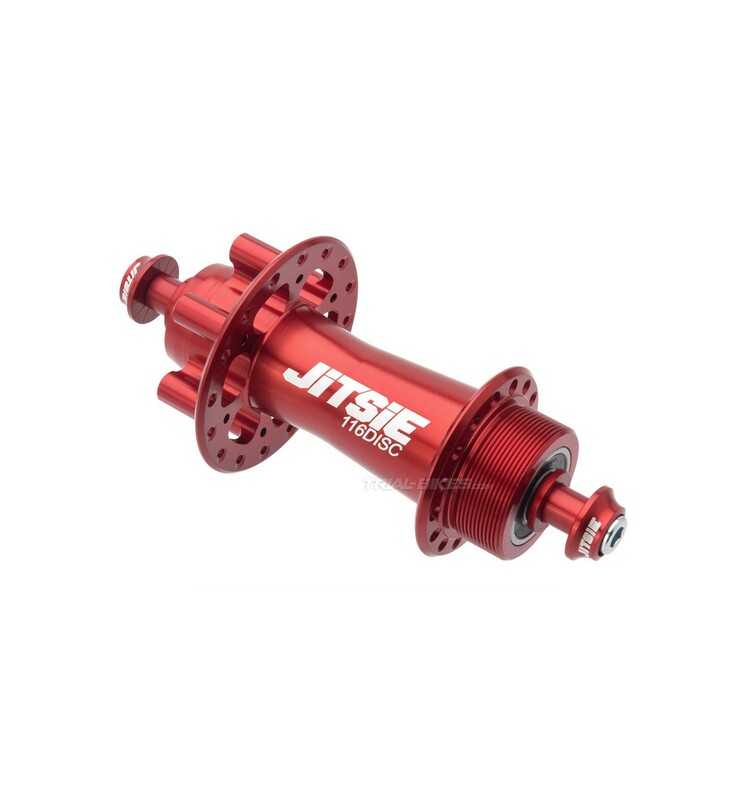 - The hub shell is made from high quality 6061 T6 aluminium. - 116mm axle is suitable for most 20" bikes, as well as some new 24" and 26" bikes which use this spacing (in example, the Koxx Sky 2 26" bike). - 10mm 7075 aluminium axle with M6 internal thread. - International Standard IS 6-bolt disc brake mount. - M6x25 bolts and serrated washers included. - Only available for rims with 32 holes, for rim brakes. 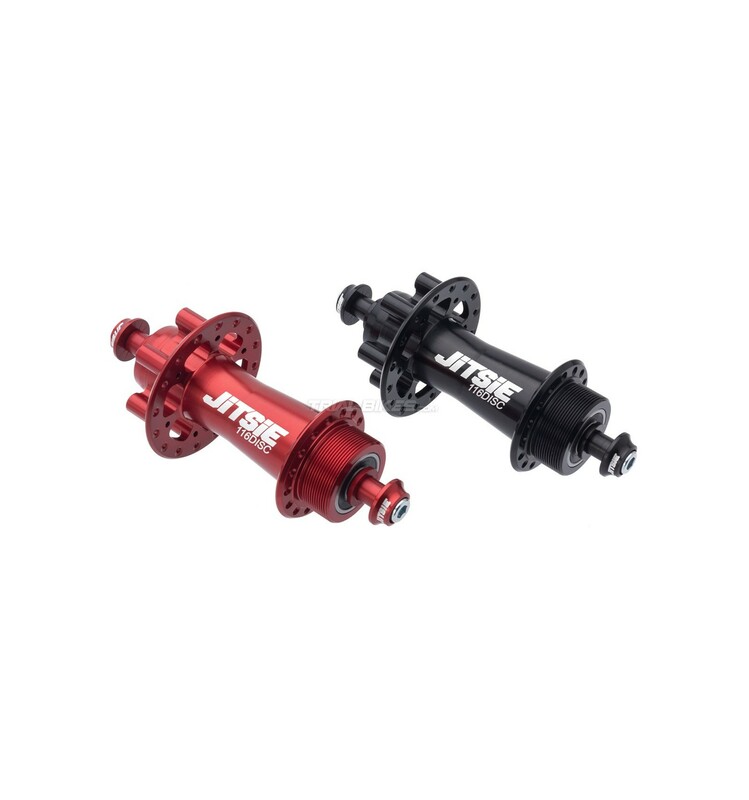 - Anodized red or black finish, with a silver laser etched JITSIE 116DISC logo.